This webinar series will explore the culture and attitudes around entrepreneurship in the environmental science sector. Over the coming months, we will hear from a range of successful entrepreneurs, who have pioneered innovated and grown businesses in the sector. Our speakers will share their experiences and discuss key challenges and opportunities they faced when establishing their businesses. More broadly, the series will attempt to explore how prevalent the entrepreneurial spirit is within environmental science and will challenge the viewpoint that innovation only comes from engineers and product designers, not scientists. It will also explore the skills environmental scientists need to become successful entrepreneurs. 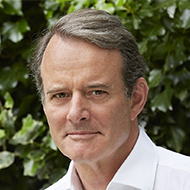 In this next episode, we will be in conversation with Simon Acland who is currently an Executive Director of Green Angel Syndicate, the only business angel group in the UK focussed on investing in companies that benefit the Green Economy. Simon is also the Chair of UK start-up NatureMetrics, the Co-founder and Managing Director of which, Dr Kat Bruce, we interviewed in Part 3 of this series. Simon has spent over 30 years investing in early-stage technology companies. He was Managing Director of Quester, one of the UK's most active early-stage venture capital investors before it was sold in 2007. He has been a personal angel investor in some 20 companies. He chairs NatureMetrics, a pioneer in environmental DNA sequencing for monitoring biodiversity, and Powervault, the battery-based home electricity storage company. He is a member of the Investment Committee of the Angel CoFund, which has invested in over 80 businesses, a Non-Exec Director of TriplePoint Income VCT, which has investments in renewable energy and vertical farming, and an advisor to TriplePoint's Impact EIS Fund. Simon sits on the Board of the Satellite Applications Catapult, and is Vice-Chair of Plantlife, the UK's main wildflower conservation charity. His book "Angels, Dragons and Vultures: How to tame your investors...and not lose your company" is widely regarded as one of the most useful guides for entrepreneurs to the world of venture capital.